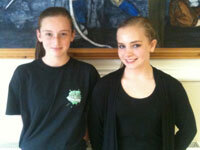 We would like to extend our heartfelt thanks to upper school students Leah and Sofia. 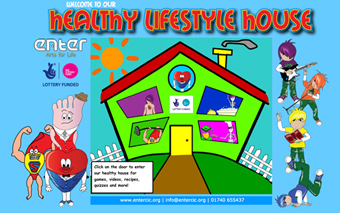 We are delighted at the commitment our students are showing to raising funds for our show at the Sunderland Empire. We were amazed to hear that the girls had managed to raise £154.94. We were delighted to receive the money and we are very proud of the girls for working so hard to raise funds for the show. .
We are delighted to be able to inform you that our young people will not only be joined on stage by our professional cast, but they will also have the opportunity to work with the Northern Acchord Choir from Tees Valley. 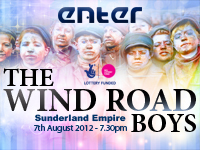 Get your tickets now for The Wind Road Boys, click here. . Images taken from our rehearsals for The Wind Road Boys musical at Sunderland Empire. 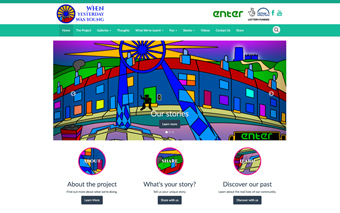 Click on an image to enlarge. .
Over the past few weeks Andrea Flynn, Andrew Mcintyre and Paul Flynn have been auditioning to find the professional cast for The Wind Road Boys. We have auditioned some very talented musical theatre performers and it has been a delightful process. We have auditioned from far and wide including performers from our local region and the West End. We even received applications from performers working internationally. 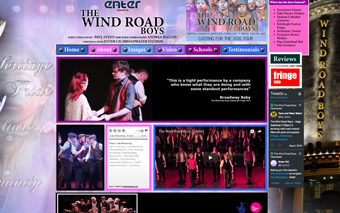 The Wind Road Boys is a brand new musical theatre production. 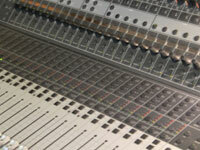 Staff members from Enter CIC are currently working in the recording studio to ensure that our sound track is phenomenal. Everyone who has heard the music to date has been amazed at its power and passion. All of the songs are intricately woven into the story line and are used to punctuate the meaning and context of the libretto. .